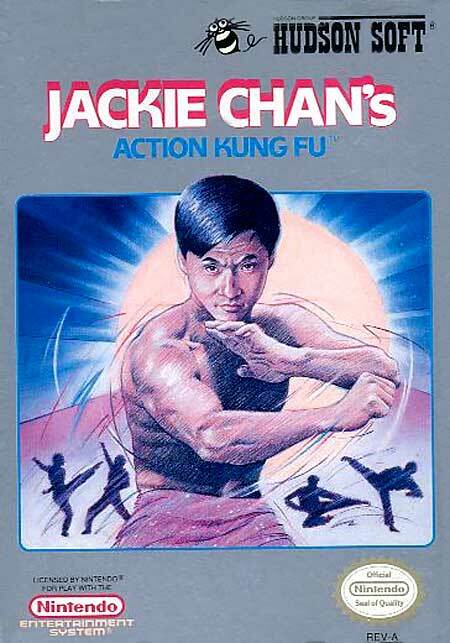 Jackie Chan's Action Kung Fu is a game released by Hudson Soft for the Nintendo Entertainment System and PC Engine. It was first released in the United States for the NES in December, 1990. A Japanese version (with the title shorted to simply Jackie Chan) was released for the PC Engine on January 18, 1991, and for the Famicom on January 25, 1991. A European release on the NES came later in 1991. The player controls Jackie Chan, the famous martial arts stuntmaster, and brawls against many nameless goons during his quest to rescue his sister.